Georg Anton Benda [Czech Jiří Antonín Benda], (baptized June 30, 1722, Staré Benátky, Bohemia (now Czech Republic) – died November 6, 1795, Köstritz, Saxony (Germany)), was a Czech composer, violinist and Kapellmeister of the classical period, known mainly for his sacred music and innovations in theatre music. Georg Anton was a brother of Franz Benda and Johann Georg Benda. Benda’s works include 13 operas (including incidental music and duodramas), 166 cantatas (mainly Lutheran), two Masses, an oratorio, six secular cantatas, about 25 Lieder, 30 symphonies, 23 concertos (mostly violin and harpsichord), 54 keyboard sonatas, and several other sonatas for violin and flute, as well as a large number of keyboard works. Georg Anton Benda was born into a musical family. His father, Jan Jirí Benda, was a local village musician and weaver and his mother, Dorota Brixi, came from a famous musical line. Georg and his older brother Franz (Frantisek) are the two most famous of Jirí’s five musician children. Trained initially by his father, he was sent to a local school in Kosmonos in 1735, and in 1739 he attended the Jesuit Gymnasium in Jičín in music. In 1742, he went with his family to Berlin, where he functioned for a few years (1742–1749) as a violinist in the royal orchestra. 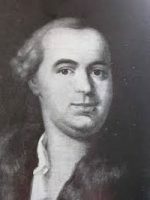 In 1750 he was appointed Kapellmeister at Friedrich III’s ducal chapel at Gotha, where he composed mainly church music. As Kapellmeister, he focused on composing cantatas and instrumental pieces, but never opera, because of the clergy’s resistance to the genre. But they relented for the birthday of Duchess Luise Dorothea in 1765, for which occasion Benda wrote his first opera, Xindo reconnosciuto. In 1765, he was sent to Italy to study opera, that journey brought him into contact with leading opera composers of the day, who influenced his compositional style. When Benda came back, he wrote several popular works. Benda was promoted to Kapelldirector in 1770. Upon the Friedrich III’s death in 1772, Benda – free from his duties composing sacred works devoted much effort to theater music. Benda’s regular duties as Kapelldirector for Friedrich’s successor, Duke Ernst II, included writing a new style of work that fused spoken drama with music, called the duodrama. His first and best melodrama, entitled Ariadne auf Naxos, was performed in 1774, the libretto for it was written by Johann Christian Brandes for his wife Charlotte, who played the main character in the first performance. Later Benda resigned his post, but continued composing melodramas, instrumental works, pieces in other genres, and singspiels (song-plays). He gained a reputation as a composer of singspiel, becoming the most popular composer of the genre of the time. Benda’s melodramas are based on one or two musical themes and several musical motifs that are repeated. Benda’s singspiels such as Der Jahrmarkt (1775) and Romeo und Julie (1776), and especially the melodramas such as Ariadne auf Naxos (1775) and Medea (1775) were highly successful. Mozart praised these two works, which he heard in Mannheim in 1778 in a letter to his father on November 12, 1778. That year Benda moved to Hamburg and shortly thereafter to Vienna, but received no appointment at either court. He then spent the majority of his time in composition and elevated the art of the melodrama, to a popular form in German music. Increasing fame brought about by his duodramas subsequently allowed him to tour various musical centers, such as Paris in 1781 and Mannheim in 1787, although he was formally retired. His last work, ironically, is a cantata titled Bendas Klagen from 1792. Most of his compositions were written after he was 50. He returned on a pension, ultimately settling in Köstritz, where he died.